Affordable application and server monitoring for high-scale web applications. Easy to use and plug in new metrics - pretty nice grouping you can do on the app itself. Adding new metrics is just a line of code and a new graph. Also ease of grouping metrics by different time window is awesome feature. Time slicing ease is awesome to have. you could see the metrics way back in past without any hassle and wait time. Never used pie charts but having an option to choose different type of graphs would be awesome to have. Not that I know if it's there or not but it was not there when I checked last time around a year back when I was researching the product. Knowing the code usage better with metrics. Also, helping the product owner understand the impact of tech debt stories and usage patterns and demo purpose is a great plus here. Having the ability to time slice so easily and quickly is an awesome feature. Grouping the different projects within a big company is essential and instrumental does that so easily. Instrumental is a very low-drama tool. It's focused on gathering metrics, making graphs and dashboards, and doing some simple alerting, and it does those things well. We use it to collect metrics at both the OS level and the application level. When all of that information is in the same system, it's far easier for us to correlate causes and effects in ways that would require multiple open tabs in other systems like New Relic. I hate "Contact sales for pricing" links when I'm evaluating new additions to our tech stack, so I appreciate their simple, straightforward pricing model. Their team is also pleasantly proactive and available. At one point they contacted us because our number of metrics had grown, and they wanted to make sure it was intentional. Other times, I've been able to have a quick chat with them about a desired feature or a library question, and it's easy to tell that you're talking with the person who wrote the actual code. Instrumental made it easy for us to get simple metric collection implemented without running something like Graphite in our own infrastructure or turning to expensive contracts with a service like New Relic. "Instrumental gives Sigstr confidence in delivering SaaS"
Flexibility. Instrumental lets us track just about anything we'd want to across our applications, front and back-end alike: system performance, deployment cycles, customer behavior, proprietary metrics, you name it. The level of control over how all this data is visualized is outstanding. There can be a bit of a learning curve with the query language. With so much flexibility it can take some consistent app usage to really get proficient in knowing how to create the reports desired. Solid documentation and a half-hour with the Instrumental team certainly help! Being able to visualize key metrics of our application in a single pane helps us correlate trends and gain insights that we'd otherwise never notice. It's now a standard part of our development cycles to identify how we'll use Instrumental to track new features, performance implications, and user adoption. We also use Instrumental alerts around key performance metrics to help us identify, diagnose, and address potential application disruptions. "Great help for great vlaue"
It's hard to say. The customer support and hands-on approach to helping us get off the ground is hard to beat. At the same time, the price point for the software (_and_ having that support) blows competitors out of the water in our minds, too. I suppose the most succinct way to say it is that the value of the value-prop is the best we've seen for meeting our needs and have been thrilled in working with the Instrumental crew. Try it out and let it prove itself out. Gaining insights into our stack and how we're doing in terms of serving our users efficiently and effectively with our software. 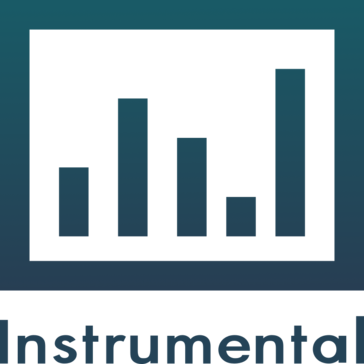 "Instrumental gives me confidence in the health of the software I build"
For Rails apps, install the instrumental_agent gem to get up-and-running with very little effort and immediately see how your app is performing. As a developer on a SaaS app, I need to know constantly how my app is performing: are server response times low, is database memory within acceptable limits, are key business actions happening at the usual rate, etc. Instrumental give me all that on an array of customizable dashboards, so I'm always just a visit away from knowing the health of my application. And with the Alerts feature, I can be proactively notified when things diverge from expectations. There are other services out there that do similar things, but Instrumental made gathering metrics and alerting on them so much easier than those. Our favorite tools are being able to graph across application statistics and then have alerts when metrics are below thresholds. Anyone starting to use this tool should spend time up front mapping out how they think the metrics will be used and referenced. We have reduced our downtime in our messaging service by being able to spot in near real time discrepancies via alerts provided. "Great solution for custom instrumentation/metrics"
Tons of custom metrics, with fast & easy graphing of same in up-to-the-minute dashboards. Could use a couple features, though the support is amazing and they're actively working on many of our requests. Ease of collecting & displaying custom instrumentation and metrics data. "Amazing product delivers full system status at a glance"
It is very easy to get everybody who needs access to it up and running at our company. We use Instrumental as a real time health dashboard of our physical locations as well as monitoring all aspects of our production system. I love the flexibility that it offers over other similar tools. I never worry about it not being available and it has been a very solid product. Instrumental is literally always up on a dashboard at our company, monitoring anything from customer reviews to API run times all on a single easy to read dashboard. Instrumental has the ability to very quickly give me an overview of the health of my product. I can look at a few graphs and instantly know that everything is ok. Set up is incredibly easy. As you zoom out your timeframe in view, you lose some granularity. We are a startup with real kitchens in multiple cities. At a glance I can check how those kitchens performed in a given timeframe. * Elegantly designed dashboards that allow you to monitor the health of your system in one simple view. * Instrument your application and display the new metric in minutes. 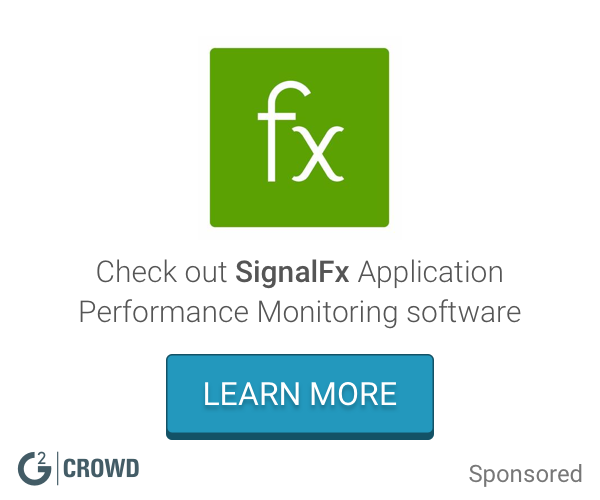 * Easily create alerts for system critical metrics. * Although you can quickly implement and display metrics. It takes a bit of dedication to harness its full power when it comes to more complex visualizations and alerts. * The settings are simple, but could be a bit more polished. With Instrumental I can easily assess the health of our systems and be promptly alerted when needed. Also I can check Instrumental on the go thanks to its responsive design that allows me to access our dashboards from my phone. "Good software for basic metric monitoring"
Easy to setup and integrate into the backend and front end of the multi client user environment. * We monitor all Instrumental reviews to prevent fraudulent reviews and keep review quality high. We do not post reviews by company employees or direct competitors. Validated reviews require the user to submit a screenshot of the product containing their user ID, in order to verify a user is an actual user of the product. Hi there! Are you looking to implement a solution like Instrumental?